Does it make sense to liquidate mutual funds to fund a 529 College Savings plan, right before my kids start college? We will have two kids in college this fall. Both have a small scholarships and about $2K in 529 accounts. After accepting the maximum offered student loans, there will be a shortfall in $$. We have about $20K in Mutual Funds. Does it make sense to use these funds for college expenses? Would it make sense to cash them and reinvest in the 529 to take advantage of tax benefits? Should we just withdraw as needed? We have been looking for online calculators, etc. to determine the potential tax implications, but could not find anything useful. We have not used a tax adviser in the past several years. We know there are a lot of variables (how long we have held the funds, etc. ), but any advice would be appreciated. Learn about 529 College Savings Plans. Examine the pros and cons of 529 plans. Meet with a tax professional, before taking any steps that will impact your tax obligations. Thank you for your question about your 529 college savings plan and financing your children's college educations. I will start by making general observations about 529 Savings Plans and financing a college education, then address your specific questions. Looking at all financing options, including the 529 College Savings plan as a way to pay for college is more important than ever, given how expensive a college education has become. About 66% of American students will seek some form of secondary education. 70% of those students will emerge with some student loan debt. Long term planning can help ease the pain of financing college costs and is an important part of building a solid financial plan for a family with children. More than $100 billion (yes, billion) has been invested in 529 Savings plans. Qualified tuition plans, known as 529 College Savings Accounts, are state-sponsored plans that allow families to save for tuition expenses. 529 College Savings plans are named after the section of the Internal Revenue Code that governs them. These plans are established and administered by the individual states, and each state determines the type of plan it will offer. All but two states offer a 529 savings plan. Although 529 Savings plans are sponsored by the states, the programs are run through an investment or asset management company the state selects. To read more about this type of college savings plan, see the Securities and Exchange Commission page An Introduction to 529 Plans to learn more about 529 plans, including links to plans available in different states and the various eligibility requirements. There are many reasons that 529 Savings plans have become an important component of covering college costs. There are some potential negative effects of putting money into a 529 plan. For instance, if you withdraw the money for any use other than the designated education purposes, you will be subject to a 10% penalty, in addition to paying taxes on the withdrawal. As when making any important financial decision, be sure to weigh the pluses and the minuses. When you open a 529 Plan, you have two main options. One is to pre-pay the tuition costs, paying for a future education at today’s costs. The other option is to save money in a tax-deferred account (interest and earnings only) to pay for future education costs at the future rates. More people select the savings plan option, given the average person’s inability to fund the pre-pay option as easily. Liquidate Mutual Funds to Shift Into 529 plan? Now, let me address your specific question about whether or not to liquidate your mutual funds account to cover the differential between the costs of your children’s education and the money available in student loans, current 529 Savings accounts, and scholarships What you will have to keep in mind is the total cost of funds, what is it going to cost you to withdraw cash from your mutual funds. Keep in mind that the value of your mutual funds will keep changing (depending on the composition of your portfolio) as per the market conditions, so you might not want to withdraw funds if your portfolio is growing. You may want to discuss this with your accountant or tax adviser. There are many variables to take in account such as exit loads and capital gain tax implications when making a withdrawal from your mutual funds account. Given the costs for withdrawing from the mutual fund, it may not make sense to do so at one time, but to draw on them in separate calendar years, especially if withdrawing within one calendar year would lift you into a higher tax bracket. While hindsight is always 20/20, it may have been better to have originally invest some or all of the money that you put into mutual funds into the 529 account, especially given the fact that you are ending up using the funds for your children’s educations. Were your children younger, the pros and cons would be different. Hi, Could you clarify the 10% penalty? Is that 10% of interest earned or of your entire balance? Thanks! See chapter 8 of Publication 970, which is referenced in the original answer above. Chapter 8 discusses the rules for transfers and withdrawals from a 590 plan. I just came upon this thread. I have the same question, only my son is one year old. In my case, would it be a good idea to use our mutual funds to fund his prepaid tuition 529? Thanks! 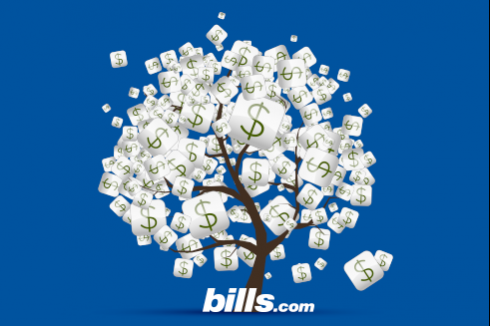 The answer to your question can be found after reviewing your overall financial situation. In general, I think 529's are a great idea in much the same way that I think investing in 401(k)s and IRAs are wise. Putting money into 529 is only a bad idea if all or most of your savings are placed in the 529. As part of a balanced saving and investment strategy, a 529 is fantastic.